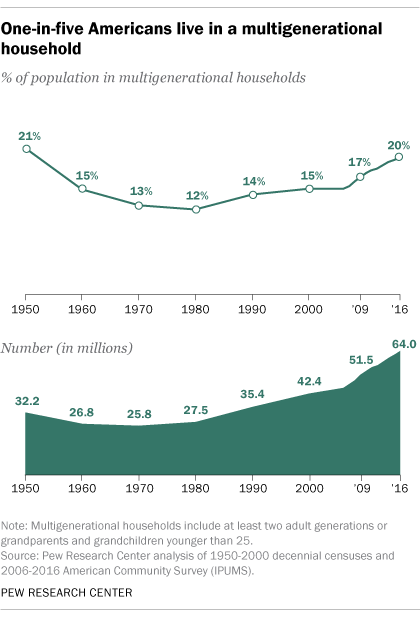 The percentage of Americans living in multigenerational households is at its highest since the 1950s. 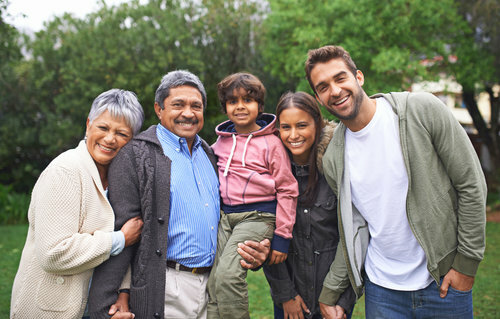 Using data from 2016, Pew Research Center estimated that 64 million people — or 20 percent of the U.S. population — live in a house with at least two adult generations, or with grandparents and grandchildren younger than 25. After 1950, the number of Americans living in a home with multiple generations continuously dropped from 21 percent to as low as 12 percent in 1980, but since the ’80s, the percent of people in multigenerational households has increased steadily — with a distinct incline during the 2007 financial crisis. The most popular type of multigenerational home included a minimum of two adults from different generations, with “adult” being defined as anyone over the age of 25. 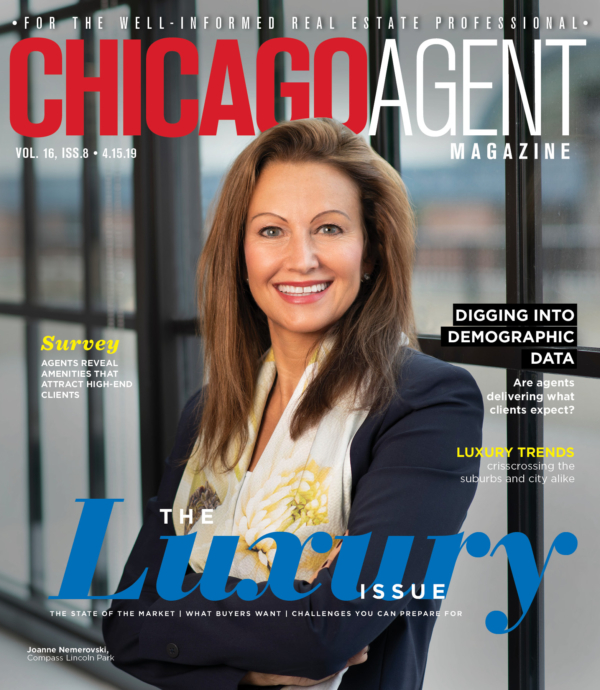 Young adults are the age demographic that most commonly lives in multigenerational homes. Research shows that 33 percent of Americans between the ages of 25 and 29 live in homes with multiple generations. And for the first time in over 100 years, the most common living arrangement for young adults ages 18 to 34 is in a home with their parents. 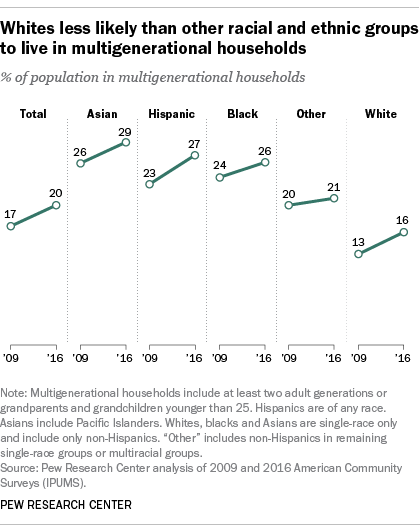 Asians and Hispanics are more likely than whites to live in homes with more than one generation, and Americans born in other countries are more likely to live in multigenerational homes than Americans born in the United States, according to Pew.